Contestants take to the stage to show off their dance moves to impress the judges and the audience and stake their claim at the prize. Amrita TV is a 24-hour Malayalam entertainment/news TV channel with a global footprint, has been honoured with 54 State Awards for Excellence in Television the only channel in India to be bestowed with such a recognition in just two years since inception. Amrita TV has been in the forefront in delivering programmes which are endearing, enriching and entertaining.  Amrita TV was launched in 2005. Watch 24 hour Malayalam infotainment channel Amrita TV Live with High Quality On YuppTV.